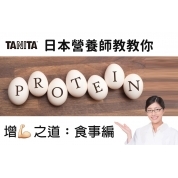 To further enhance fitness trainers' and nutritionists' understandings towards applying TANITA body composition analysers at work, TANITA Hong Kong has cooperated with the Physical Fitness Association of Hong Kong, China to organize a 2-hour workshop to practitioners in October 2017. Please stay tuned for further information of similar workshop in the future. Start monitoring your body composition since young! 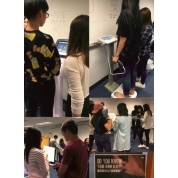 TANITA Hong Kong is proud to be invited by the Food & Nutrition Student Society of the Chinese University of Hong Kong to offer free body composition check to CUHK students in November. Maintaining a good balance of body composition, especially segmental balance of muscle and body fat is important to every sportsman and runners. In view of this, TANITA joined in hand with Polar to offer a series of free running workshop "Challenge your Personal Best Result" to local running club members from August to October 2017, and attracted over 500 runners to attend. TANITA Hong Kong also cares about health condition of the Healthcare frontline professionals. We are pleased to offer free body composition measurement service at Hong Kong Adventist Hospital - Tsuen Wan in mid August 2017. 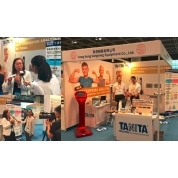 Joining in hands with Physical Fitness Association Hong Kong China, TANITA Hong Kong offered free body composition measurement and fitness consultation in the Hong Kong Sports & Leisure Expo (HKCEC, 21 - 25 Jul 2017). Celebrating 30th anniversary, Physical Fitness Association Hong Kong China (HKPFA) is highly recognized for its continuous effort in promoting physical fitness education and development in Hong Kong society.To further strengthen Hong Kong citizen's awareness towards Body Composition Monitoring, TANITA Hong Kong is pleased to present two units of Professional Body Composition Analysers SC-330S to support HKPFA's health promotion community service. TANITA Taiwan also participated into this year's Sencare Exhibition (15 - 18 Jun 2017). 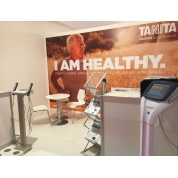 On top of body composition monitoring, this year the exhibition also featured TANITA Healthy Eating Style with TANITA Kitchen Scales, TANITA-canteen series healthy food and also timer. Receiving overwhelming response in 2016, TANITA Hong Kong continued to participate into Health Expo 2017, which took place in HKCEC on 9 - 11 Jun 2017. 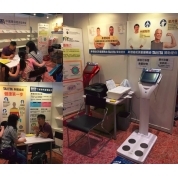 This year, TANITA Hong Kong also joined in hand with the Hong Kong Physical Fitness Association to offer free health & body composition consultation to the event participants. Over 800 measurements have been made during the 3-day event. 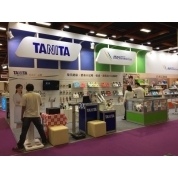 TANITA Hong Kong has participated in the Hong Kong International Medical Devices & Supplies Fair (8 May - 9 May 2017). Taking this opportunity, TANITA introduced the upgraded version of the top-end model MC-980MA PLUS with Sarcopenia Assessment feature, which would be a great tool to help with the research of the controversial Sarcopenia topic.During the event, TANITA Hong Kong is also pleased to be interviewed by the Xin Hua News Agency on the Home Use Salt Checker. TANITA Australia has participated the Australia's largest Fitness & Health exhibition Filex which took place in ICC, Sydney from 29 April - 30 April 2017. This event has gathered 2500+ fitness industry professionals to learn new techniques, tips & ideas related to Fitness & Health. TANITA Australia has also taken this chance to launch the Six Pack Analyser SR-901, attracting participants come and test their level of subcutaneous fat in abdominal area. TANITA Taiwan is proud to announce the appointment of Dr. Peng Wenya and Jinrou-mama (Muscle Mama) as the National Spokespeople in the year of 2017. 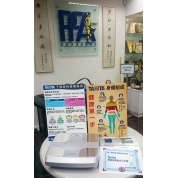 Both Dr. Peng and Jinrou-mama are renowned for their professionalism in their represented areas and are also using TANITA Body Composition Analysers in their service offered.The TV advertisement can be seen at: https://www.facebook.com/TanitaTaiwan/videos/10158652775315475/. To further promote awareness to Body Composition Monitoring in Hong Kong society, TANITA Hong Kong has launched a series of promotion campaign on buses running across Hong Kong Island from mid-April to mid-May 2017. TANITA actively supports Health Monitoring & Sports Development activities. On 9 April 2017, TANITA Hong Kong has sponsored the HKFYG Wellness Run Marathron activity which took place at Hong Kong Science Park. Free body composition measurement has been offered for participants that day, and over 200 measurements have been made. Apart from body composition analysers, TANITA is also famous for its high quality kitchen scales and other kitchenwares like timers, cooking thermometers. 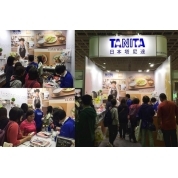 TANITA Taiwan has participated in the Taiwan International Bakery Show on 6 April - 9 April 2017, to showcase the latest series of kitchen scales and other kitchenwares to the mass public. TANITA believes that body composition management should start from school children. 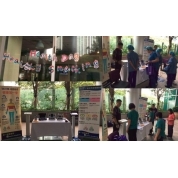 TANITA Hong Kong has made the move to offer free body composition checks for primary school children, and also a health seminar to educate the importance of body composition management. 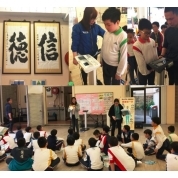 On 29 Mar & 3 April, TANITA Hong Kong has visited Tak Sun Primary School in Jordan, Hong Kong to offer free body composition checks for 200+ school children in 3 forms. It was delighted to know that, after the seminar, the children learnt to eat less oily food to keep their body fat in optimal level, and at the same time do more exercises to increase muscle mass in their bodies. Should you are interested in having similar body composition check service for your school or organization, please contact us at asia-pacific@tanita.co.jp. 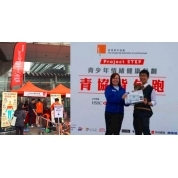 To further promote health awareness and sports activities in Hong Kong, TANITA Hong Kong has joined HKFYG Community Sports Group to offer free body composition checks for more than 400 athletes and mass public in the HSBC Run event on 2 April 2017. Many participants were amazed at the speedy yet accurate body composition analysis offered by TANITA. 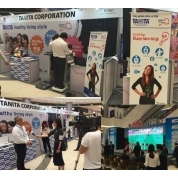 TANITA Vietnam proudly joined the JETRO Healthcare exhibition in AEON Mall, Hanoi Vietnam on 4 Mar - 5 Mar 2017. 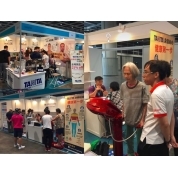 This was an excellent chance for the Vietnamese people to try the TANITA body composition check for free, and it attracted more than 400+ people for the measurement during the two-day exhibitions. Both TANITA professional & consumer products are now available in Sri Lanka! 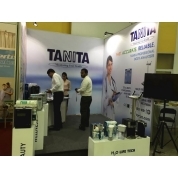 TANITA has just participated in the Sri Lanka Annual Medical Fair on 4 Mar - 5 Mar 2017, showcasing our latest BIA technology to the medical professionals. For more information about locating TANITA products in Sri Lanka, please kindly approach our local distributors at http://www.tanita.asia/?_page=local&_lang=en&_para=9. Supporting local sports development, TANITA has joined the HKFYG Sports Event, offering free body composition measurements to the participants. 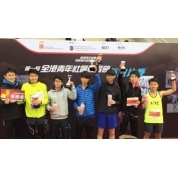 TANITA Body Composition Monitors BC-730 have also been presented to the Champions of 10km long-run competitions that day. 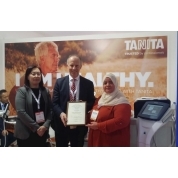 This year, TANITA has also taken part in the Arab Health 2017, one of the biggest professional medical exhibitions in Middle East regions. Taking this opportunity, TANITA revealed updates in the MC-980MA Plus - Sarcopenia Index, which provides more information for the researchers/ medical professionals to analyse one's muscle amount, especially useful in elderly health researches. For more information about the MC-980MA Plus, please refer to http://www.tanita.asia/?_page=products&_func=detail&_lang=en&_para=10&_para=1&_para=113. TANITA is happy to present the TANITA Grant 2017 to Prof. Sondos Harfil (Medical Laboratory Sciences, College of Health Sciences) of the University of Sharjah. Sondos A. Harfil (University of Sharjah, M.Sc. Lecturer)"Modulatory Effects of Lactobacillus on Obesity and Inflammation" The Award has been presented to Prof. Sondos during the Arab Health 2017 in Dubai. Congratulations once again to Prof. Sondos!